The advent of the cricket season has urged the DTH companies to get on their toes and launch offers which would increase the viewership of channels and give them more reach. Last we heard about a few offers from Tata Sky, Airtel Digital TV and D2h. However, there is yet one more offer from Tata Sky related to sports channel which has been hiding under the rock and could easily be missed by the consumers. This offer is an annual sports channel offer from the DTH operator for sports fans who would not just like to watch the Indian Premier League while the cricket season lasts, but also catch the rest of the matches all year long. 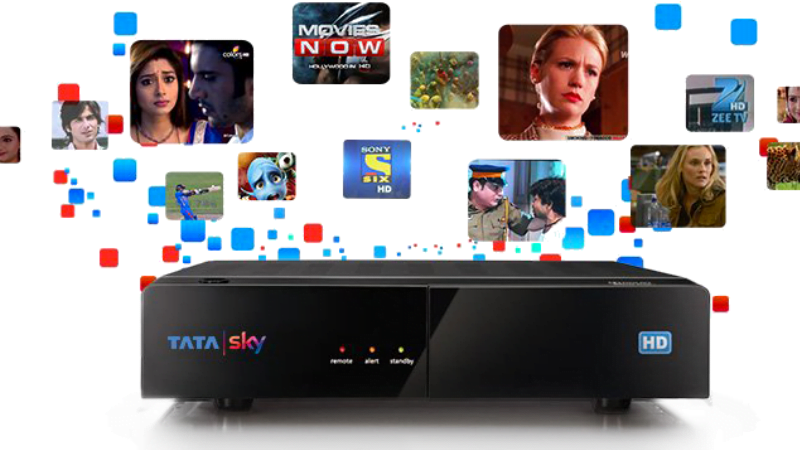 Here are the details of the a-la-carte sports pack launched by Tata Sky. The a-la-carte cricket pack that we are talking about is available in two languages – Hindi and English, and it only offers one channel for an annual subscription fee. Under the English option, subscribers will get the Star Sports 1 English channel for 12 months at the rate of Rs 202 for the entire year. Similarly, the Annual Cricket Hindi pack which will offer Star Sports 1 Hindi for a whole year will set back the subscribers by Rs 201. It is worth noting that if subscribers were to subscribe to these plans on a monthly basis, then they would be paying Rs 19 per month for both of these channels individually, meaning that in an entire year they would have to shell out Rs 228, but the new annual pack by Tata Sky will offer these packs at a small discount. On similar lines, Tata Sky has also launched another offer for the cricket fanatics which has already caught a whiff of popularity. Tata Sky has sent messages to its subscribers telling that it will offer sports channels free of cost to all its subscribers from March 23, 2019, to May 19, 2019. The list of the channels which Tata Sky is offering under this scheme includes Star Sports 1 Hindi, Star Sports 1 Tamil, Star Sports 1 Telugu, Star Sports 1 Kannada, and Start Sports 1 Bangla. It is worth noting that unlike the annual sports pack mentioned above, Tata Sky is even offering regional sports channel under the seasonal offer to increase its reach and to enable more and more people to catch the cricket action live. Airtel Digital TV is also not far behind in this race as the DTH operator has also announced that it would be offering free sports channels to its subscribers much similar to Tata Sky from March 23, 2019, to May 19, 2019. Airtel Digital TV is offering Star Sports 1, Star Sports 1 HD, Star, Sports 1 Hindi, Star Sports 1 Hindi HD, Star Sports 1 Telugu, Star Sports 1 Tamil, Star, Sports 1 Kannada and Star Sports 1 Bangla. D2h has also introduced a lock-in period for some of its sports channels and is offering regional language audio feeds for Star Sports 2 to its subscribers.